Therman Statom takes his creative process into the world, donating his time and talents to cultivate others’ well-being. When Therman Statom was growing up in Washington, DC, the Smithsonian Institution was one of his favorite places to be, a kind of haven. 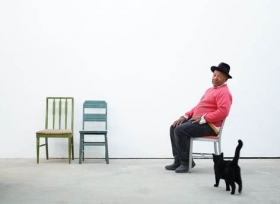 The art he saw there affected him deeply, giving him not only a creative calling but also a means of coping with life’s challenges – in particular, the sometimes confusing circumstance of being from an upwardly mobile African American family, transplanted from the South to a cosmopolitan, mostly Jewish neighborhood in the nation’s capital. Art showed him a path, and he followed it. 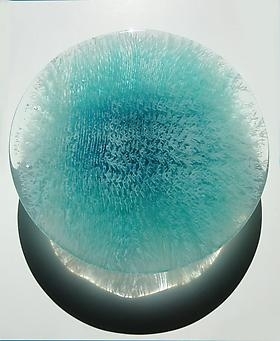 Artist Rob Snyder uses elements of nature to create his gorgeous crystalline glass sculptures. Based on the idyllic Vashon Island in Washington state, Snyder collects delicate branches, twigs and leaves from his surroundings, casts the pieces in glass, and then fuses them back together to make beautifully unique portraits of nature. The National Gallery of Australia acquired Emma Varga's 'UnderWater Turquoise #3' for the permanent collection, September 2013 - images attached. 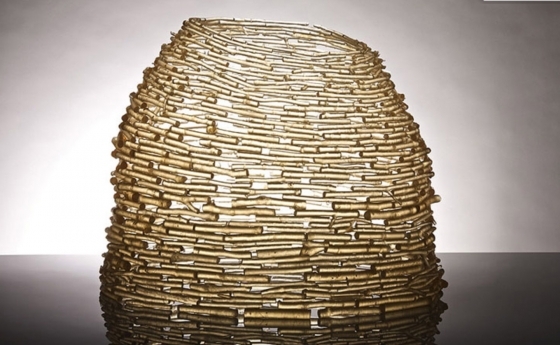 Last but certainly not least, Emma is invited to teach a 2 week course on her 'Multiple layers fusing / casting' technique, at Corning Museum / Studio, scheduled this fall. Austin Art Studio Now Open! For the Fall 2013 semester, Tyler School of Art is pleased to announce Daniel Clayman as a visiting artist in the Glass Department. During his time at Tyler Clayman has also been visiting the Printmaking Studio, to produce a series of etching and collagraph prints. 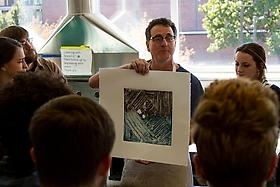 Below are several images of Clayman talking to students about his process in print and working with Bonnie Kissinger (a senior in Printmaking). "Casting Brilliance: Glass by Colin Reid"
Colin Reid takes glass to its extreme to create pieces which are both majestic and magical. Over the past 30 years he has worked with this fragile material to create exquisite works of art which intrigue and invite us to wonder at how they are made. Colin’s sculpture has an extraordinary ability to make a first-time viewer stop and be drawn in to look carefully again and again. His brilliance has given him the cutting edge in kiln-cast glass and international recognition for his inspirational work. 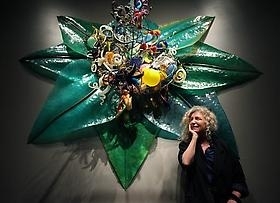 Ginny Ruffner, Seattle artist, is all over the place these days. She has a show at the Bellevue Arts Museum, "Aesthetic Engineering: The Imagination Cycle"; she's designing a new public sculpture in downtown Seattle; and is the subject of a documentary, "Ginny Ruffner: A Not So Still Life." Ginny Ruffner, a pioneering glass artist and beloved figure in Northwest art, is a lot like her work: strong and delicate, amusing and cerebral, and downright lovely in a slightly twisted sort of way. One thing's for sure: Ruffner does what she wants to do regardless of how people attempt to define her.